HOW TO MAKE THE SIMPLEST 3D INTRO IN Aurora 3d animation maker And sony vegas pro! Aurora 3D Text & Logo Maker Review by Tom Bank, Sr. This month the KeyMac meeting will include a demonstration of a new program which is designed to help us assemble neat graphics and text designs for business, social organizations, hobbies, or other personal use. I admit that I have been curious about 3D graphics for some time because I couldn’t picture in my mind how what I knew as 3D could be displayed on my computer’s monitor screen. I understood 3D in dual still photos or “artwork,” such as 19th century cardboard stereopticon slides and the View-Master disks of my childhood. I even remember going to a movie where the audience wore red and blue glasses to see action that seemed to take place both in front of and beyond the screen. (After the show we went out into the real world and blinked from one eye to the other as we watched everything switch from orangish to greenish.) Then the Polaroid 3D movies came out in full color, with giant frogs that jumped into our laps. Are you having problem in creating intro videos for your YouTube channel? Are you having difficulty in making a 3d movie title for your blog or a flash or GIF banner? If the answer to these questions is a big YES, then you don’t have to worry any more as today we are going to review Aurora 3D animation maker, which is 3D video or animation creating software and will surely solve your problem. To know how to create awesome looking 3D animation keep reading the article and sit tight with cookie or some drink and I am sure you will love every paragraph. If you scroll down, you will see a Tech2Blog banner, which I created using its default template just in 1 minute. Aurora 3D animation maker software is a mufti-purpose software which can be used to create introduction short videos, animated title banner, GIF animation, etc. It is a complete one stop solution for all your small animated work. It will give your imagination new wings and you will be able to design any type of 3D animated movie without any technical skills. Until now, there hasn’t been a truly 3D text and logo creation focused application. Usually, when users would like to create professional logos or 3D text, they would be forced to utilize a program that is capable of handling that task, but also serves a bigger purpose and has other features that make 3D text and logo creation seem like they are just peas in a pod, features among a plethora of others. Not to say that there’s anything wrong with having an application that can serve multiple purposes, but with so many other design features and focuses, users end up with an application that only gives you the basic tools to design with. Sometimes what users really want is just an application that is focused on one task or a few related tasks. In this case, the tasks are the creation of 3D text and logos. The Aurora 3D Text & Logo Maker takes all of the flair and unnecessary features away and focuses in on crafting a great experience for designers looking for a more focused application. With it, you get all of the necessary tools that you will need to create beautiful and professional logos and 3D text that will both stand out and pop out at its viewers. From an extensive graphics library to a full 3D manipulator, you will have several tools to choose from to handle any of your logo design and text design needs. One of the great things about Aurora 3D Text & Logo Maker is how simple and easy it is to use and learn to use. It is so easy to use, in fact, that even those that are not all that technically savvy will be able to install this application and use it with relative ease. There are a few video demos that you can use to get started and get some ideas for your own designs. There are also several text, logo, and button templates included in the application if you do not want to start completely from scratch. Or if you know exactly what you want and how you want it, you can start with a blank canvas and design away. Some of the more notable tools of the Aurora 3D Text & Logo Maker include, but are not limited to: the ability for each and every object to have many types of animations (rotate, swing, wave, fade, etc), changing an object’s appearance quickly, creating free-hand shapes, full control over the text, bevel effects, support for dynamic backgrounds, light settings, and so much more. It really is a full suite of design tools to make the best logos and 3D text. You knew this was coming, the price. Aurora 3D Text and Logo Maker, unfortunately is not a free application; however, with all of the great features and tools that you get bundled into one application, $50 isn’t much to ask for at all. The good thing is that you have the option to try before you buy. So go ahead and download the trial right here on Rocky Bytes and if the application suffices your needs, go ahead and grab the full version and support the developers. Aurora 3D Presentation 2012 is a presentation software for the presentation elite – or I should say elite presentations. With it, you can create breathtaking illustrations, demonstrations, product prototypes, and more to show off to your customers. While the application is usually used to create presentations that advertise, introduce, or demonstrate products to prospective clients/customers, Aurora 3D Presentation can be used to create presentations for a variety of themes, events, and causes to be shown off to friends and/or family members. And it is easier to use than it seems like it would be. With Aurora 3D Presentation software, you can save interactive presentations as (.exe) files. Saving files in this executable format make it easy to share across the internet with customers, friends, family members, and publicly for the entire world to see. You can easily attach (.exe) files in emails so that you can instantly send the presentation to a specific individual, place it on a removable drive to be transferred to several computers easily, upload it to the cloud for hundreds of computers to download it around the office, or upload it to your website for all of your customers to view. You don’t always have to create a presentation that is interactive. Not every situation calls for a presentation where the customer or general viewer needs to be able to interact with the system. What if you need to create a presentation to be shown during a large meeting? You will be distracted from giving a great verbal presentation because you have to constantly look at a screen to ensure that you are indeed clicking on the right buttons. It would make more sense in this situation for the presentation to be automatic and set to different timing points so that you can simply talk and your viewers can watch and listen. Aurora 3D Presentation allows you to do just that. It allows you to create a video of your presentation to simply play during an event rather than press. Are you in the auto industry? If so you will love Aurora 3D Presentation’s 3D model feature that allows you to create amazing presentations of automobiles. Open doors, the hood, the trunk, simulate engine noise, tires, and more. You can zoom into any aspect of the car. Look inside and show your customers what the interior of the vehicle looks like. It is truly amazing. Change the car color dynamically as well so that you can drill down exactly what the customer wants. Use the image wall feature to show off product ideas. It’s very useful for aspiring artists that have large pieces of art that they cannot travel with all the time. Nothing says “buy me” more than an interactive 3D image of the item. It has “buy me” written all over it. Aurora 3D Presentation 2012 is a huge application with a plethora of features and different types of presentations to choose from and customize for your viewers. Excitement is mounting! Go ahead and download Aurora today and show off your creativity. Easily Turn Your ideas into Stunning Vector Designs Online! YouiDraw.com(Beta) – Easily turn your ideas into stunning designs. Aurora3D Software provide new web apps for vector design, you can access our app services at everywhere, whatever device or OS you’re using. Now! You can get Premium Account for free! Earn 1 Year Premium: Design by YouiDraw, and share your work to our library, we will pick a winner every month. Depends on how many likes you get, and how the design you shared. 1. Create your design make it prefect, then click file menu to choose “Share File”. 2. Choose type, name description and set tags, then click ok.
3. Finally, every users can watch your design and click heart icon to like you design. ps: We will add price option to let our customer sell they design on our website later. Easy Optimize and Convert Pictures, Make GIF, Draw Shapes, Generate QRCode. Designbox will put available to you numerous devices to accelerate your work. Do you feel baffled, disturbed? Is triumph your objective? At that point you need to utilize Designbox to change your picture impacts, clump resize, turn, blend a watermark, proselyte configuration, make GIF movements, make ios symbols, Create QR code or draw your shapes however you see fit. Change your portrait to the best well known styles. Like Style, LOMO, Advanced Studio Impacts etc,. You can get more than a hundred of picture styles, recently require a single click. You can get many channels, change daintiness, contrast, immersion, sharpness, Tone and RGB colors. Simple and allowed to draw your cartoon shape and outline with paint tools. You can utilize pencil, brush, splash unreservedly to draw your shape. The line, rectangle and loop devices can help you to make some standard shape. the yield, eraser, color picker, paint bucket can help you rapidly to make change. Simple cluster alter your picture size, turn them, blend a watermark, rename and send out them. The vital is you can select numerous or all choice and bunch change over your picture at one time. You can trade your picture to sorts of organizations: JPG, PNG, BMP, TIF, TIFF, TGA, XPM, XBM, Ppm. Make a GIF movement with any pictures. Include your picture succession in a schedule, and set the GIF width, stature, picture postponement times and send out it. Simple SVG View and bunch change over Programming. Simple envelope determination, and thumbnail show mode. Fast see SVG picture and believer, help svg, svgz. You can select any zone from the SVG, set the fare quality and size and group change over SVG to tiff, png, jpg, bmp, gif, tga, xpm, ppm, xbm, pdf. Simple create ios symbol and including all size pictures and the itunesartwork file. Rapidly utilize contact, email, URL, WIFI, to create QR code. 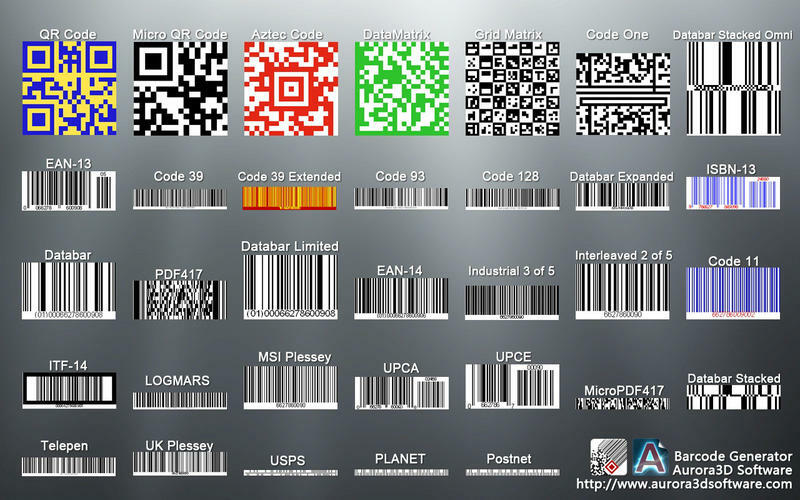 Easy Barcode and QR code Generator and batch convert to png, jpg, eps, svg, bmp. Standardized tags make life less demanding, the way that they can hold a ton of data in such a little space. They’re utilized to track stock levels, areas, and, on account of QR codes, can even be utilized to summon extra item data on the Web. To exploit everything that the unassuming standardized tag brings to the table, while even now holding the capability to be on the front line of QR code innovation, you’re going to need today\’s reduced programming advancement – Scanner tag Generator! Scanner tag Generator provides for you the capacity to transform more than 32 distinctive standardized tags and QR codes, suitable for different kinds of business and individual requisitions. With Standardized tag Generator, you’ll have the capacity to make scanner tags in only three simple steps – simply pick a format, alter contents color properties, and afterward send out! You’re up and running with completely operational standardized identifications inside minutes! Each conceivable kind of scanner tag is spoken to by the layouts that are incorporated with Standardized tag Generator! Unicode help: Latin, Arabic, Chinese, Japanese and Korean characters. There’s QR Codes, Code 39, Code 128, Interleaved 2 of 5, Upc/ean, Information Network, and that’s only the tip of the iceberg. For every one, you have aggregate control over the information, shades, content, and fonts, and the real extents of the standardized tag itself. When you’ve created your standardized tag, Scanner tag Generatormakes it simple to duplicate and glue it into other programming requisitions, or fare it as a picture in the PNG, JPG, BMP, SVG, or TIFF form. Need a bundle of scanner tags? Scanner tag Generator effortlessly handles group era, up to 100 or more!